Shortly after it was revealed that antibiotics crucial to human medicine are still being used in “unacceptable” quantities on US livestock farms, reports have surfaced that Britain might not permanently commit to recent European Union plans to limit preventative antibiotic use on EU farms post-Brexit. Although loosening regulations to facilitate production and trade may seem an attractive short-term prospect, it threatens to weaken the only transnational antibiotic stewardship coalition worldwide (the EU) and undermine five years of concerted British antibiotic reform. Historically, it is clear that national solo efforts will do little to tackle global challenges like anti-microbial resistance (AMR). As early as 1940, physicians were reporting AMR in hospitals, air raid shelters, and naval academies. 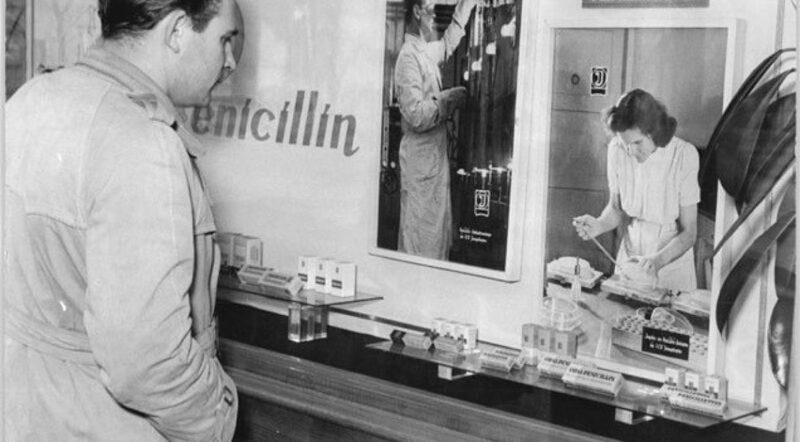 The first mass-produced modern antibiotic – Prontosil – had entered the market five years earlier, after which practitioners, farmers, and patients raced to apply successive antibiotic generations against bacterial infections ranging from typhoid and anthrax to acne and halitosis. 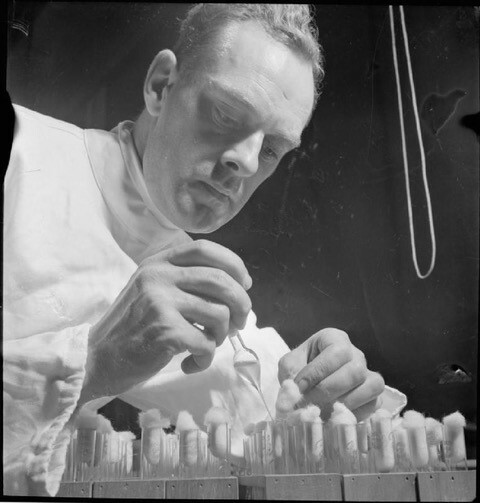 During the 1950s, therapeutic uses were joined by non-therapeutic applications such as low-dosed antibiotic growth promoters (AGPs) for animals – and malnourished humans – sprays for plant protection, antibiotic food preservatives, as well as antibiotic-laced whaling harpoons. Unsurprisingly, this exponential rise of antibiotic use altered the microbial environment. The risks of rising AMR became clear in 1954 when a resistant pandemic swept the planet. First detected in Australia and then across the globe, Staphylococcus aureus phage type 80/81 was the world’s first ‘superbug’ and caused widespread mortality and morbidity. However, knowledge of AMR’s border-defying hazards failed to trigger a corresponding international response. Since the 1940s, regulators have developed multiple ways of approaching antibiotic-related hazards. While fluctuating supplies led to uneven patterns of antibiotic use east of the Iron Curtain, varying public attitudes towards state intervention also fragmented Western policies. Opting for voluntary campaigns for ‘rational’ antibiotic use, US regulators shied away from imposing statutory antibiotic controls. By contrast, Scandinavian officials imposed a high degree of control over prescription practices. A similar story occurred in the case of agricultural antibiotics: whereas cultural concerns made German and US regulators launch expensive campaigns against antibiotic residues in food, their British counterparts focused on restricting medically-relevant antibiotic growth promoters (AGPs) to combat AMR. The legacy of fragmented policies is the international patchwork of varying antibiotic use we see today. So what can we learn from past reforms? Firstly, attempting to deal with AMR by dividing it into regulatory slices does not work. Take agricultural antibiotics: the same products used on farms are also used in hospitals, but can be subject to different regulations. Efforts to cut back their use in one sector might be successful, but they can still be subject to overuse in another, making even the best-regulated drugs in one sector prone to resistance selection elsewhere. EU regulators tried to protect antibiotics’ effectiveness by banning AGPs between 1997 and 2006. But even this approach suffered from a lack of holistic thinking and the failure to tackle demand and supply. By narrowly focusing on farmers, opportunities were missed to regulate the veterinarians and companies supplying the same drugs for ‘therapeutic’ purposes. Narrow reforms of agricultural antibiotic use are now also haunting the American FDA. We have seen a similar story in human medicine, with ‘irrational’ patients bearing disproportionate blame for antibiotic overuse. Secondly, no nation is a microbial island. Nation states have powerful statutory and economic tools to influence antibiotic use within their borders, but even the most concerted efforts have failed to halt spreading microbes and resistance genes. Weak regulations in one country can have international repercussions by harming reforms in other countries and enabling antibiotic black markets to thrive – most recently in the case of legal Chinese polymyxin exports, which are illegally being used as AGPs on Indian farms. Meanwhile, global centres of antibiotic production (India, China) no longer align with Western centres of policing. While specific interventions will vary, it is clear that more rather than less international coordination is needed if we are to curb the global burden of AMR. In high income countries, one of the most effective ways of achieving this has been to standardise surveillance. Since the late 1990s, the collection and publication of AMR and antibiotic usage data has been a source of constant reform pressure. Recent WHO attempts to standardise international surveillance systems are important steps in the right direction. However, standardising surveillance will not be enough. What is also needed is a greater willingness to share the burdens of antibiotic reform. Recent decades have seen growing disparities emerge between stagnating or diminishing antibiotic use in some high-income countries and rising antibiotic use in many low- and middle-income countries. Rather than pointing the finger, we need to remember the roots of many forms of AMR and antibiotic overuse in high-income countries. It is for example easy to forget that expanding agricultural antibiotic use is being driven by industrial systems that originate in the West. This does not mean that there is no need for global antibiotic reform. However, it does mean that high-income countries have an historical responsibility to not just propose international stewardship declarations but also support countries with less resources to develop their own sustainable frameworks of human and non-human antibiotic use. National solo efforts will achieve little. Claas Kirchhelle, ‘Swann Song. British Antibiotic Regulation in Livestock Production (1953-2006)’, Bulletin of the History of Medicine 92/2 (2018), pp. 317-350, doi: 10.1353/bhm.2018.0029. An opinion piece on the Oxford Martin School website, University of Oxford, and on Nature. 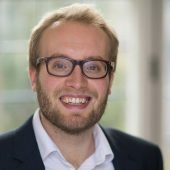 Dr Claas Kirchhelle is a Martin Fellow at the Oxford Martin School’s Programme on Collective Responsibility for Infectious Disease. He has published numerous articles on the history of antibiotic use and regulation. His book ‘Pyrrhic Progress. Antibiotic Regulation In Anglo-American Food Production (1949-2013)’ is in press with Rutgers University Press and will appear in summer 2019. Syndemics and public health: reconceptualizing disease in bio-social context.